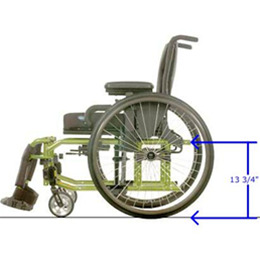 True folding, extended frame wheelchair that focuses on positioning, portability, and foot propulsion. 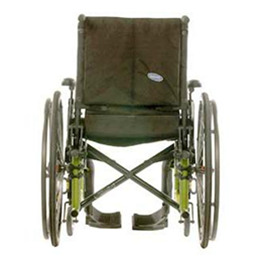 Allows space for moderate to complex seating systems. 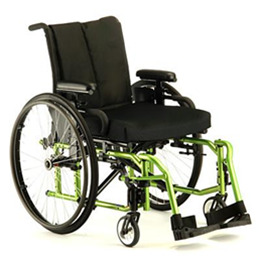 Adjustable-angle back brackets with 30 degrees of adjustment and up to 170 degrees of available recline. Transport tie down options available. Bolt-on seat rails that allow for east depth adjustment. Seat Width: 12 in. - 20 in. Seat Depth: 12 in. - 20 in.